This 1898 English translation of a popular 1895 Norwegian work provides a valuable first-hand account of Arctic exploration in Greenland. Elvind Astrup (1871-95) took part in the expeditions led by the American explorer Robert Peary (1856-1920) between 1891 and 1894. Another of Astrup's shipmates during this time was Frederick Cook (1865-1940), who would later claim to be the first man to have reached the North Pole. 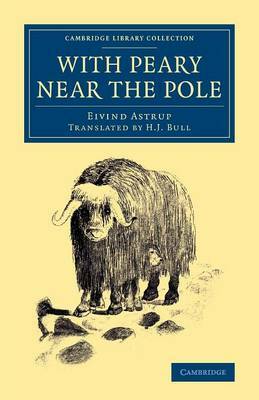 Astrup gives here a short narrative of the expeditions, yet the real appeal of his work lies in its vivid descriptions of life on the ice - not merely that of the explorers, but crucially that of the Inuit, whose survival skills and techniques were later to prove invaluable during Peary's own drive towards the Pole. Numerous illustrations are spread throughout the text, based on sketches and photographs taken during the expeditions.